A new anthology with contributions from several former CAS fellows challenges our understanding of the concept of domestication, using British falcons, Norwegian apples, and Pacific salmon to show how the fates of humans, animals, and plants are interlinked. 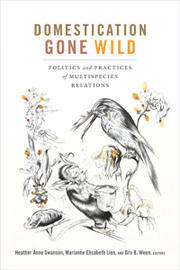 Marianne Elisabeth Lien and Gro B. Ween, respectively professor and associate professor of social anthropology at the University of Oslo (UiO), and Heather Anne Swanson, associate professor of anthropology at Aarhus University, edited the anthology, titled Domestication Gone Wild: Politics and Practices of Multispecies Relations (Duke University Press). Lien, Swanson, and Ween, as well as contributors Knut G. Nustad, Natasha Fijn, and Frida Hastrup, all participated in the 2015/16 CAS project Arctic Domestication in the Era of the Anthropocene. Lien led the project. 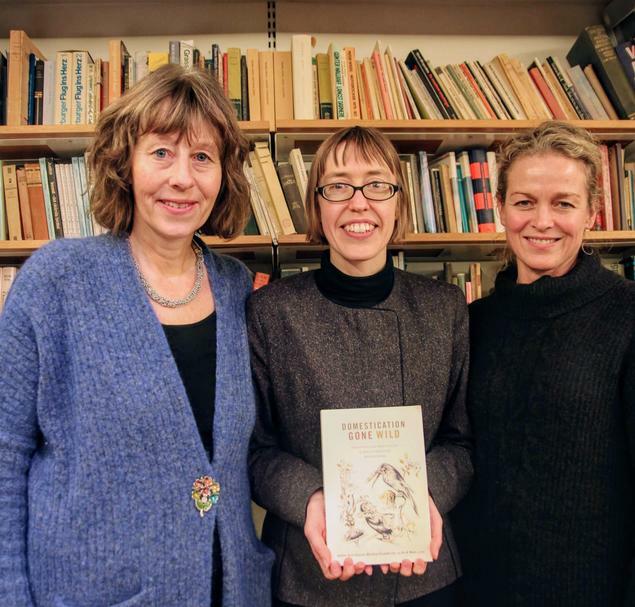 The three editors celebrated the release of the anthology during an event at the House of Literature in Oslo on 22 November. ‘This book is about all the different ways we can look at domestication,’ Lien said in an interview. She said that the idea of domestication as a European phenomenon that involves humankind controlling animals and plants for their own gain is somewhat outdated and flawed. Swanson’s chapters, for example, both deal with salmon. In ‘Domestication Gone Wild: Pacific Salmon and the Disruption of the Domus,’ she examines how Japanese salmon ranching -- the process of collecting eggs and sperm from fish, raising the salmon, and releasing them back into the wild once they are large enough -- has led to the decline of wild salmon populations off the coast of Alaska, and what that means for the nutrient contents of Alaskan rivers. ‘How the Salmon Found Its Way Home: Science, State Ownership, and the Domestication of Wild Fish,’ co-authored with Ween, presents a fascinating and sometimes disturbing look at how researchers were able to determine which senses salmon use to find their way back to the rivers where they spawned, complete with gory details of blinded and maimed fish.